Update: both HTC and AT&T have posted changelogs for the update, you can see them here (ATT) and here (HTC). Ahhh. The feeling of spring. The sun is shining, birds are singing, and flowers are blooming. Everything feels fresh and new, and - if you are an AT&T customer who is the proud owner of an HTC M8 - things are about to get even fresher and newer. Mo Versi, Vice President of Product Management at HTC, announced this evening via Twitter that Android 5.0 Lollipop is coming to the AT&T One M8 starting tomorrow April 7. So, stretch your thumbs out tonight, because tomorrow starting at 10AM PST you can start mashing that system update button. 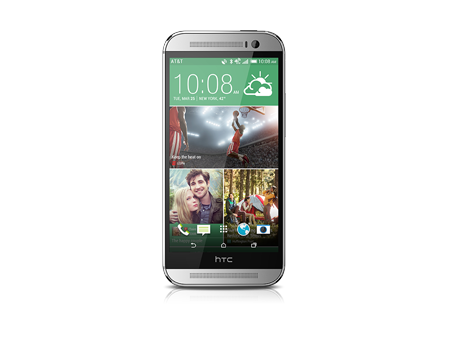 AT&T HTC One (M8) Owners! We just received technical approval for Lollipop OS! Thank you for all your patience, OTA to start tomorrow. The only bit of bad news is that Versi, in a later tweet, confirmed that this update does not include Sense 7.0. However, he did promise that it will be included as part of the next upgrade (whenever that happens). That's a slight bummer to be sure, but just thinking about the bright spring colors of Lollipop on your M8 still ought to make you pretty dang happy.